In the largest metagenomics study of production animals to date, the Technical University of Denmark has found more antimicrobial resistance in pigs than in broiler chickens, but a greater diversity of resistance genes in broilers. Researchers from the National Food Institute, Technical University of Denmark, led the largest metagenomics study of production animals to date where they—along with other European researchers—have mapped out the extent and type of resistance that is present in European pigs and broiler chickens. "As seen in previous studies of individual bacterial species, we have found a correlation between consumption and resistance. As such, we unsurprisingly found less resistance in Danish and Dutch farms, where farmers use lower amounts of antimicrobials than in the seven other countries," Postdoc Patrick Munk from the National Food Institute says. "However, it was a surprise that while we found more resistance in pigs than broilers, there was greater diversity in the resistant genes in the broilers. We also saw large differences in the resistance profiles between countries, which are due to differences in antimicrobial use, differences in the bacterial composition and perhaps other unknown factors," he adds. "A digital archive of metagenomic data from production animals has great value and we therefore recommend that resistance monitoring methods based on metagenomic sequencing be introduced in addition to existing routine resistance monitoring," Patrick Munk says. The study was conducted in cooperation with colleagues from the EU-funded project EFFORT. 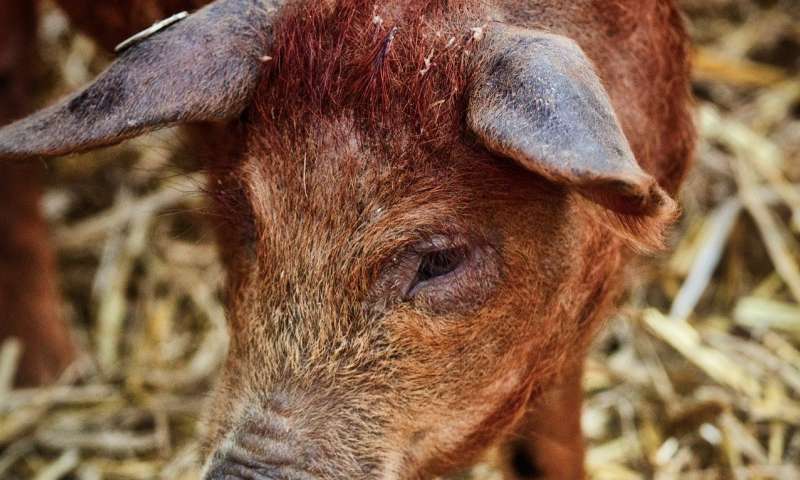 The results are described in further detail in a scientific article in the journal Nature Microbiology: "Abundance and diversity of the faecal resistome in slaughter pigs and broilers in nine European countries."